This ivory colored halter dress falls just above the knee and accentuates the figure beautifully. 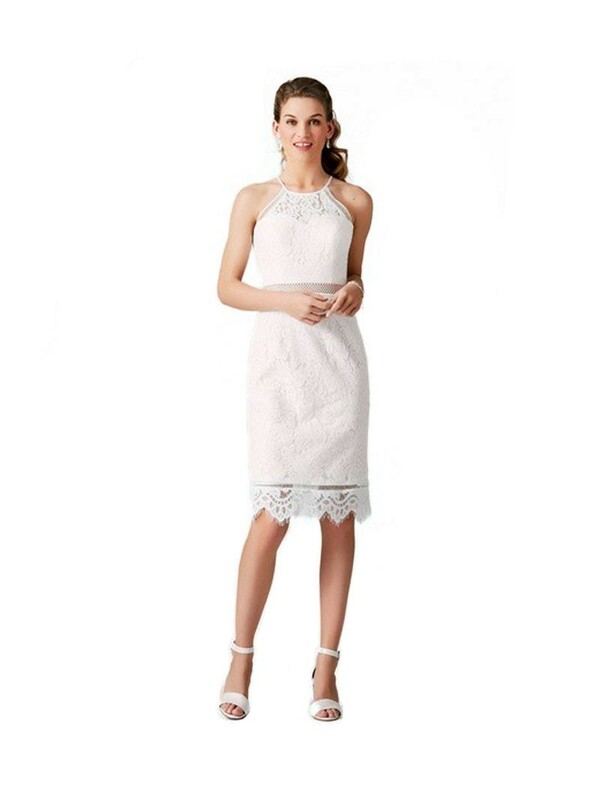 The wedding dress has stunning details of lace and is perfect when you prefer to show some skin. Ideal for a summer wedding day! The wedding dress is easy to close by means of a zipper at the back.